A candidate belonging to a tiny ecology movement has narrowly saved Austria from becoming the first European country since World War II to elect a far-right head of state. 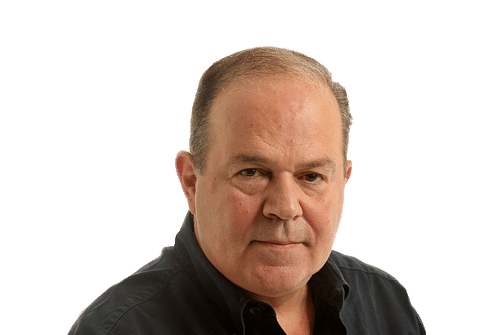 But the wafer-thin margin of his victory - a mere 0.6 per cent of the ballots separated him from his right-wing opponent - has sent shockwaves throughout Europe. For although the far-right has failed in Austria now, it is still making huge strides throughout the continent. 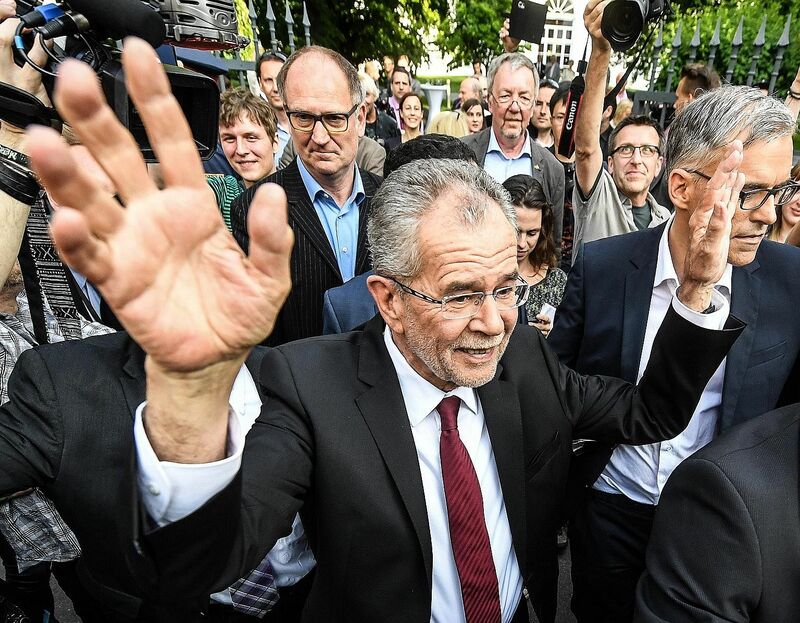 Under normal circumstances, Mr Alexander Van der Bellen, who now becomes Austria's President, would have had little chance of coming anywhere near that position. A 72- year-old son of immigrants from Russia who spent most of his life teaching economics, Mr Van der Bellen briefly ran the Green party, which considers itself lucky to secure 10 per cent of the vote in Austria's general election. Mr Van der Bellen benefited from two fluke developments. The first was the unprecedented failure of the mainstream presidential candidates for the Socialist and right-wing People's Party, the movements which had dominated Austrian political life since 1945. Both were eliminated in the first round of the presidential ballots. As a result, Mr Van der Bellen became the only candidate able to stop the rise of Mr Norbert Hofer of the Freedom Party, an anti-immigrant and anti-European Union movement founded by a former minister in Germany's wartime Nazi government. Many voted for Mr Van der Bellen not because they knew who he was or what he stood for, but more because he was the only alternative to the right-winger Mr Hofer, who recently told voters that "liberalism is a bigger problem than Islam because it robs us of our own tradition and our own culture". But even then, Mr Van der Bellen's victory is by the smallest margin in Austrian history: a mere 31,000 ballots more than votes for Mr Hofer, out of over 4.5 million votes cast. And even these came largely from postal votes, by professional people on the move who tend to be more liberal. The nation is split right down the middle. When hundreds of thousands poured across Austrian territory last year, the country's government first welcomed the migrants but then encouraged Austria's neighbours to close their borders. This alienated everyone, exposing the country's political elite to accusations of incompetence. A similar trend is observable elsewhere in Europe. After such a divisive outcome, Austria's President-elect promised to listen to his opponents since, as he put it, they "all make up this beautiful Austria". But reconciliation is not on the mind of Mr Heinz-Christian Strache, the leader of the Freedom Party, who vowed that the presidential vote was "just the beginning, the start of a new era in our democracy, towards more direct democracy". Mr Strache may be right, for dissatisfaction with the mainstream Socialists and the People's Party - which, between them, have divided every public and civil service post in Austria and which are now governing together in a "grand coalition" - runs deep. Between them, the two would struggle to get 50 per cent of the ballots in the general election next year. And the main beneficiary will undoubtedly be the Freedom Party. The party was helped by Austria's failure to deal with the continent's immigration crisis. When hundreds of thousands poured across Austrian territory last year, the country's government first welcomed the migrants but then encouraged Austria's neighbours to close their borders. This alienated everyone, exposing the country's political elite to accusations of incompetence. A similar trend is observable elsewhere in Europe - from Sweden, where nationalists are currently polling 18 per cent of intended votes; to Denmark's People's Party and Norway's Progress Party, both of which are already in governing coalitions; the Netherlands, where the Freedom Party is now the strongest nationally; and right up to countries in central Europe, such as Poland, Hungary and Slovakia. Yet it is France which is watching Austrian developments most closely. For there, Ms Marine Le Pen, leader of the far-right National Front, is almost guaranteed to be the front runner in presidential elections scheduled next year. 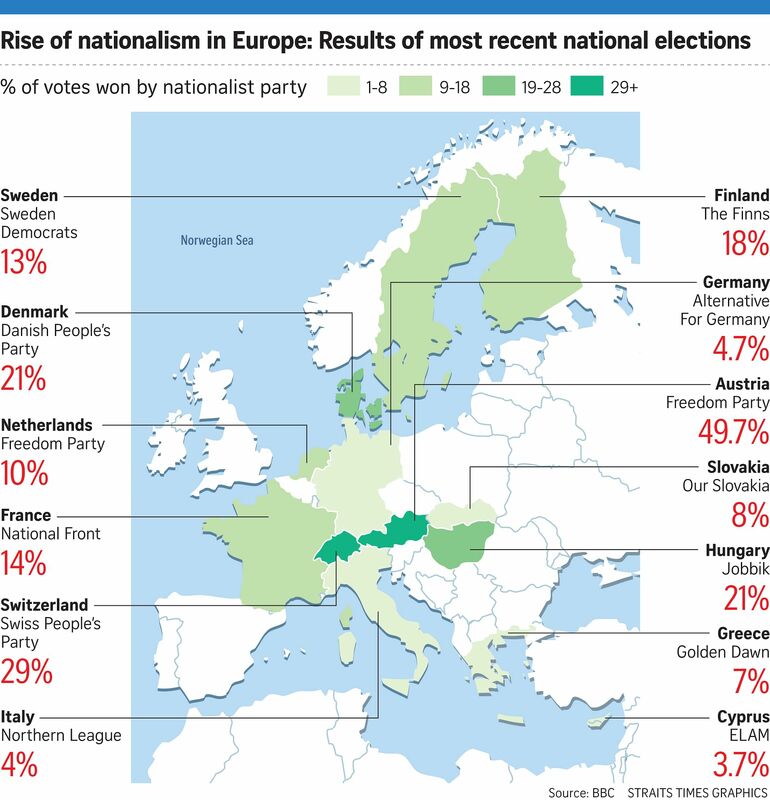 The example of Austria may indicate that although extreme nationalists can rise to the top, they can be defeated in a two-round voting system, which also operates in France, because in the second round, all opponents unite against them. But while the Austrian right-wing presidential candidate was ultimately defeated by voters in key cities, such as the capital Vienna, whose numbers counter-balanced the countryside ballots, which overwhelmingly went to nationalists, Ms Le Pen holds sway both in the countryside and in the heart of mid-size towns. And she now also has a chance to learn from what went wrong in Austria. Either way, the words of Mr Hofer, the defeated right-wing Austrian candidate, may become the slogan for all European far-right politicians: "The world is melting into one, people are being de-rooted." His party's task, he says, "is to create the possibility so that people can once again become conscious of their place in an ancient chain". By appealing to people's ancient fears.